Introducing the MAD MAX Glove Break-In Service! This is truly a game-changer. Here at CloseoutBats we understand the true value of a glove and want to help our customers protect their investment. 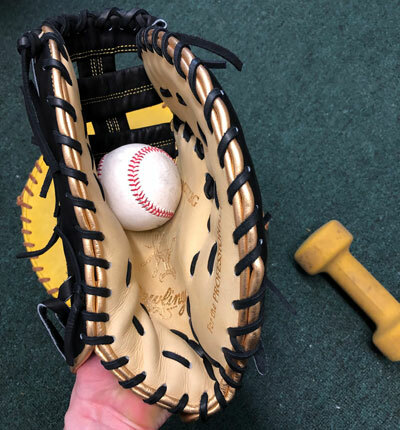 That's why our family-owned and operated company will take the time to individually break in each and every glove we sell by hand for only $40 extra per glove! This means no nonsense or shenanigans when it comes to breaking in your glove -- we promise not to steam your glove because it's not a lobster! Please note that if you add Mad Max's Break-In Service, you will need to allow an additional 24 hours to process and ship your order. 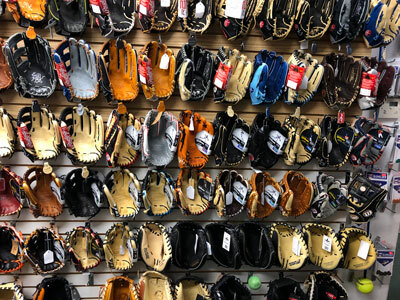 The first step is to select your new glove. Our trained professionals will then break in your new glove using only their bare hands and a mallet. You can trust that we will NEVER use machines, steam, creams, water treatments, or oils that can make your glove feel heavy. We will turn your glove inside out to help stretch the leather and prepare it for further breaking-in. The result of taking the time to pound out and hand manipulate the leather is a game-ready feel on day one. The action of repeatedly hitting the glove at the correct break points will help soften the material and start to give it shape. When we are done shaping your glove, we know you will be pleased. QUESTIONS? Give Max and Roy a call! VOILA! Your new glove is now ready to hit the field!